My dad and I used to watch Star Trek together. We’d watch the different series: Next Generation, Deep Space Nine, Voyager. Back then, it wasn’t always easy to catch them on TV, so we’d wait for each new video to come out, rent it from the video shop and watch two episodes back to back. After a while, I stopped watching Star Trek. It no longer appealed to me. It was no longer offering me an experience that I waited for with anticipation. But it will forever remain something I shared with my dad. So when the new Star Trek movie came out, I got on the phone to my dad. He hadn’t been to see a movie at the cinema since I was a little kid. But I wanted to share this experience with my old man. See, Star Trek is not just a movie, or a TV show, or any other medium it appears in. Star Trek is an experience. Never seen Star Trekbefore? That’s okay. This movie, helmed by director JJ Abrams (of Lost, Alias, and Cloverfieldfame) takes the series back to its roots and starts us off on day one. We see how Kirk and the rest of the crew come together. We see them do what they do best – explore the universe and save the day from the bad guys. The bad guy here is Nero, played by Eric Bana. He’s a tortured soul who has lost his loved ones, so he decides to make everyone else pay. Bana does well with the role, but he isn’t given a lot to work with. He’s mainly there so that the new crew of the starship Enterprise can do their thing. Each of the main actors is well cast in their roles. They are true to the original characters while still providing them with new flair. They are given more depth and character here (especially the officers who aren’t Kirk and Spock) than they had been given back in the 60s. Each of the characters is given a chance to show why they are unique and special. We are given enough of a taste to want more. And wanting more is what this movie is all about. This movie is the start of a franchise. It was made with future movies in mind. Some things about the plot don’t make a lot of sense. But they are forgivable because the creators are putting the pieces in place for future movies. While this first Star Trek movie is enjoyable on it’s own, the important thing to remember is that it’s really just putting things in place for the hopefully even more awesome second movie. Star Trek focuses on the two main characters, Kirk and Spock. So it’s only fitting that there are two main points to take away from this movie. Firstly, let’s take a look at Spock. Here is a man who is torn between two worlds. He has a human mother and an alien father. He was raised on a planet that valued logic and emotional restraint above all things. Spock faces this tension between expressing his emotions and embracing cold logic. He is reminded that he does indeed have emotions. That it is right and proper to express them, but to balance this with logic. To not give in to just following your heart. But also to not just live in an emotionless head space. As Christians, we can be in just as much danger as Spock of going between these two extremes. We can be all about the experience of Christianity, letting how we feel be the primary means of evaluating our Christian faith. But when things go bad and God tests us, we can be tempted to doubt our faith because we’re just not “feeling it” anymore. On the other hand, we can be coldly logical and intellectual about our faith, turning it all into head knowledge and forgetting that the Holy Spirit brings us peace and joy as well as the knowledge of salvation. We need to remember the lesson of Spock and find the middle ground between these two positions. 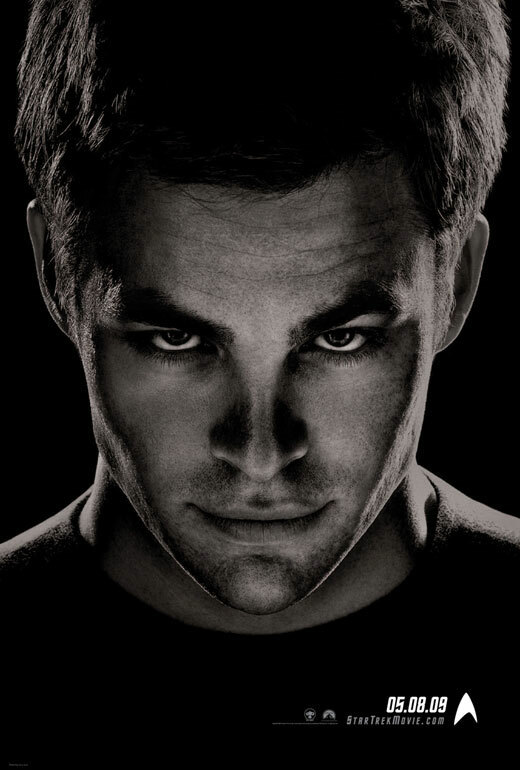 Secondly, let’s take a look at Kirk. Operate on instinct. Spend more time doing and less time thinking about doing. Take action, take risks. Are you afraid to take risks? Are you afraid to fulfil your mission as a Christian because you are scared? Are you bold about your faith, taking every opportunity to talk about Jesus with your friends and family? Or are you too scared about what might happen if they reject the message of Jesus? Kirk would take the risk. He would do what is right and worry about what it would cost him later. You? If you’re a Christian, you have the Holy Spirit on your side. You have God himself helping you out. So why not take that risk for Jesus? It’s what Kirk would do. Star Trek is a not just a movie. It’s an experience. It shows us a future world that is about optimism. This is not a post apocalyptic world where the robots have taken over and Soylent Green is made of people. It’s a future world where mankind have over come their problems and have become explorers and scientists. Where anything can happen. It’s a world where the good guys are good and the bad guys get beaten by the good guys. The world of Star Trek is a world I would want to live in. After heaven that is.